Talking on the phone is an unavoidable aspect of working life. Regardless of your position, there is a good chance that you spend at least part of your day on the phone. 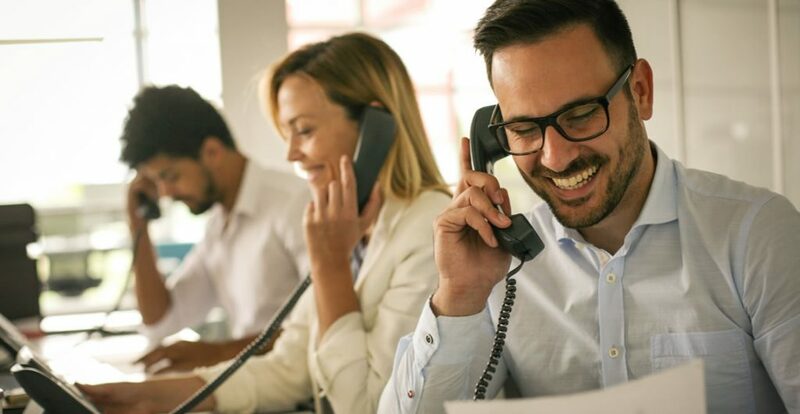 Those who work in frontline positions, such as receptionists and customer service staff, may find that they spend a significant amount of time dealing with customers and clients over the phone. As a result, understanding proper phone etiquette is a vital part of any job. This course goes into detail regarding proper telephone etiquette, including an explanation as to why it is such an important skill to master. We begin by giving you the basics behind taking phone calls at work, including the tone that you should strive to use and a few tips on how to achieve it. Next, we discuss the crucial communication skills that you must master in order to always have successful telephone conversations. Without learning these communication skills, your callers may feel disrespected and may seek out similar services or products from a competitor. Finally, we discuss difficult calls. Despite you being polite, they are an unavoidable aspect of most frontline positions. Learning a few essential skills can help you diffuse such a tough situation. Who can take the Telephone Etiquette Certification course? How long does it take to complete the Telephone Etiquette Certification course?